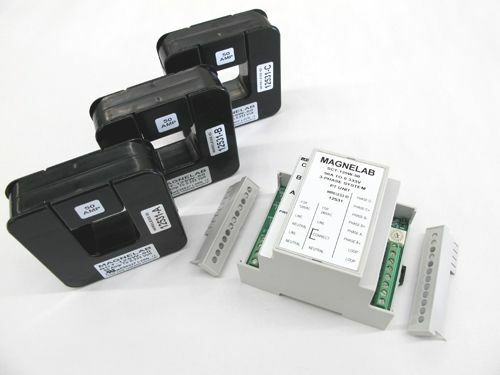 The SCT-200W series by Magnelab is a split core AC wireless current sensor designed to transform up to 1500 Amps of AC input current to 0.333 Volt RMS or 1.0 Volt RMS of output. Suitable for installation on existing electrical wiring by snapping around the conductor without additional wires or connections. For safety, this AC transformer comes with a self-locking mechanism. This device is usually used in recording, data logging, energy management, power monitoring and cost allocation. Each CT within the set has a radio frequency link. These get their power from the measured current, which links up to the PT Unit controller as long as the current is above 5A. For the set, you will receive three split core current sensors, all wireless, as well as one PT Unit controller. This class 2 transformer controller has three individual outputs, which correspond to the amplitude and phase of the three remote CTs. It is possible to DIN rail mount the controller. All Magnelab devices have specific features. Often, as with the SCT-125W wireless current transformer, the differences are small but important. With the SCT-200W, you will find an up to 1,500 Amps rated input, and a 0.333 or 1.0 Volt output. Its linearity accuracy is 1% either way for 10 percent to 130 percent of rated current and the phase shift is less than 1 degree at rated current. The operating and measurement frequency of the SCT-200W is 60 Hz (50 Hz upon request for Europe and other regions) with a range of 10 meters. The controller itself requires either 120 VAC or 240 VAC for power and, on a bare conductor, its maximum voltage is 600 V. The temperature range is between minus 30 and plus 60 degrees Celsius. 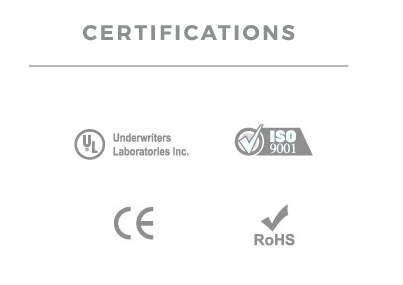 The SCT-200W is fully UL recognized, as well as being compliant with both CE and RoHS. It comes with a 7 year warranty.